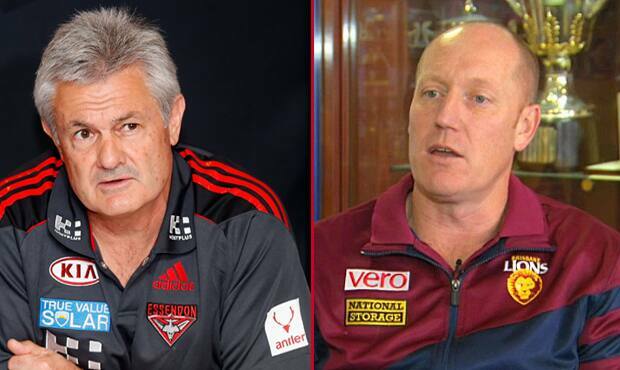 Essendon Football Club is pleased to announce its finalised football department structure that will see the creation of two football executive roles – General Manager, Football Operations and General Manager, Football Performance. The General Manager, Football Operations will oversee all services that support the Football Department, including Operations, IT, Welfare, List Management and Recruiting. The General Manager, Performance will oversee all team performance functions including Coaching, Development and High Performance. The Club is excited to announce Rob Kerr has been appointed GM, Football Operations and Neil Craig has been elevated to GM, Football Performance. Essendon Chief Operating Officer Xavier Campbell said the structure provided the governance and management framework required in modern football. “The roles have very clear reporting lines, working parameters and expectations that will ensure greater accountability and provide the best possible resources to the football department with the objective of maximising performance across key functions. “At the same time, the new structure allows for greater representation of Football at a senior management (Executive) level and provides greater management capability across all areas of the football department,” Campbell said. Rob Kerr was previously an assistant coach at Essendon (1998-99), before joining the AFLPA initially as Executive Director, Player Development and then ultimately as CEO for five years. He then worked with two global management firms that consulted on talent identification, capability building and leadership development, before joining the Brisbane Lions managing List Management and Recruiting functions. Campbell said Kerr was a great fit for the General Manager, Football Operations role. Neil Craig joined the Bombers late last year as Head of Coaching Development and Strategy. Previously, Neil has been Director of Sports Performance at Melbourne Football Club and the Senior Coach at the Adelaide Football Club. He has extensive experience in sports science and fitness, working with the Australian Institute of Sport for 15 years prior to joining the Crows. The Club is also pleased to announce Michael Abrahams has been appointed as Integrity Officer. Michael joins the Club from the Australian Cricketers’ Association where he was Legal Counsel. He has extensive knowledge and expertise in governance, regulatory and integrity issues in the sports industry. He has been directly involved in applying, advising on and helping to shape regulations in cricket, including working on the equivalent of the players CBA for professional cricketers. He has great knowledge and enthusiasm for sports law and regulatory issues and has represented the Australian Cricketers’ Association and their peak body (the Australian Athletes’ Alliance) in consultation with Government and non-government bodies (such as WADA, ASADA and the Sports Minister). He is appointed to the Sports Law Committee of the Law Institute of Victoria. We look forward to Michael joining us and working with us to ensure our compliance and risk management practices are first class.